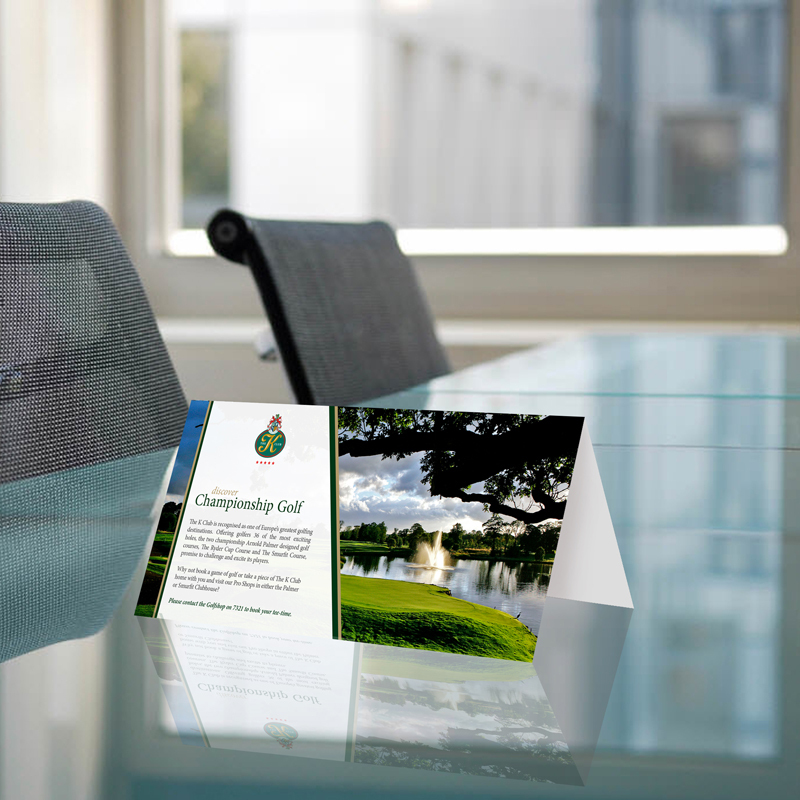 Particularly suited to hotels, bars, cafes and restaurants, tent cards are a 3D way to promote add- ons like speciality coffees, desserts and cocktails, upsell other areas of the business like the spa or gym, or upcoming events. Printed on two or three sides, they have plenty of room for enticing content and cannot be missed by the customer. Not just for the hospitality industry, they work anywhere there are tables or counter surfaces.